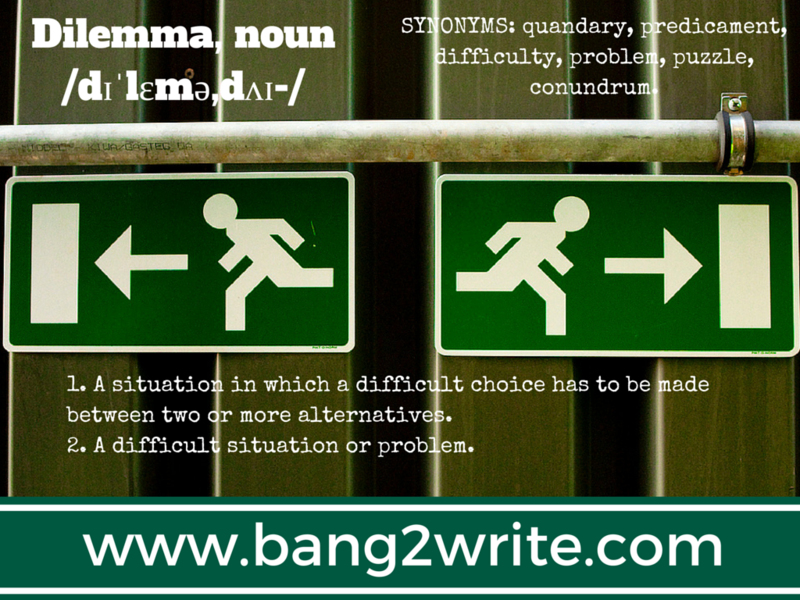 It doesn’t matter whether you’re an experienced writer or just a beginner, you’re going to confront a few dilemmas! They tend to appear as difficult choices between two different things, so here are my top 7, enjoy! 1) Write For Money Or Love? You must be a truly lucky person if you earn a living by writing what you enjoy. There’s lots of less fortunate writers who are obliged to make money by writing anything and everything. If you do write something you truly cherish by all means enjoy it to the fullest, but get ready to be broke! 2) Be A Trend-Setter Or Follower? Originality can be overrated, but obviously you must never plagiarise, either: a self-respecting writer won’t just take somebody else’s ideas. Do be aware too that while reading others’ work your own thoughts may intertwine with the ideas of other writers and you could lose your unique view on a story or subject. Balance is key! 3) Write in the morning or at night? Biorhythms are something you cannot just ignore. You’re either a morning person or a night owl, and you must plan your daily routine accordingly. So if you’re up with the lark, it will be much better for you to work right after an early wake-up. Owls are more productive working late at night and feel washed-out in the morning. There is also a third in-between type, the hummingbird, which has some traits of both larks and owls. Know who you are and how you work! TIP: For planning your daily routine, pick some helpful tools like DayViewer. 4) Use pen and paper or use a laptop? I’ve tried both variants. And you know what? I prefer laptops to the old school methods of writing like pen and paper. Firstly, my typing speed is fast and I can put down a thought promptly right when it strikes me. And secondly, I find editing on my computer much more convenient. But again, you need to find out who you are and how you like to work. TIP: Amazing writing apps like OMMWRITER or ZenWriter are at your disposal, not to mention fantastic “old school” stationery like this. Sometimes it happens. One day you think you are a total loser while re-reading your work. But the next day, your writing seems to be a masterpiece! Or vice versa … It’s no secret that all people experience this kind of rollercoaster ride when it comes to writing. It’s just human nature. Sooner or later this dilemma is going to torture every writer. Publishing houses and agents provide you with a set of obvious advantages. However, self-publishing is attractive as well. Also, it’s easier than ever to get started as a writer: thanks to the internet, you can easily create your own blog and/or write for online resources. 7) Pseudonym or your own name? Both options are widely used. I know some writers who are sure they should work only under one’s own name since you’re in charge of what you do. Others, however, tend to choose a new name, which can serve as a mask and gives a sense of anonymity. BIO: This post is written by Nancy Lin, a freelance writer and editor from Kansas City, Missouri. She is a contributing author for DIYAuthor, CulturedVultures and SoCawlege. Nancy is finishing her studies at Rockhurst University and wisely using her spare time to continue working on her first novel. Edit: “Firstly” with “First”, then Secondly, then Third..